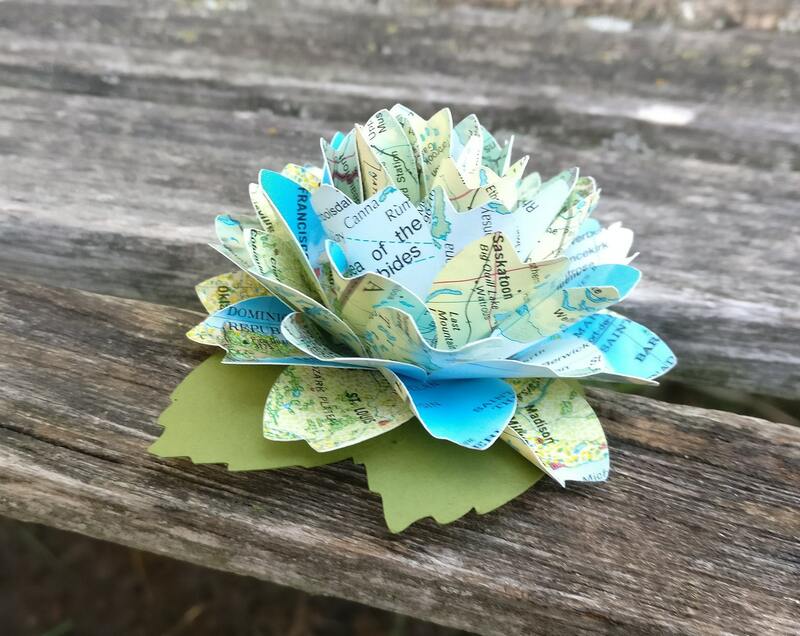 Map Dahlia Hair Piece. Vintage Maps. Wedding Hair Accessories. 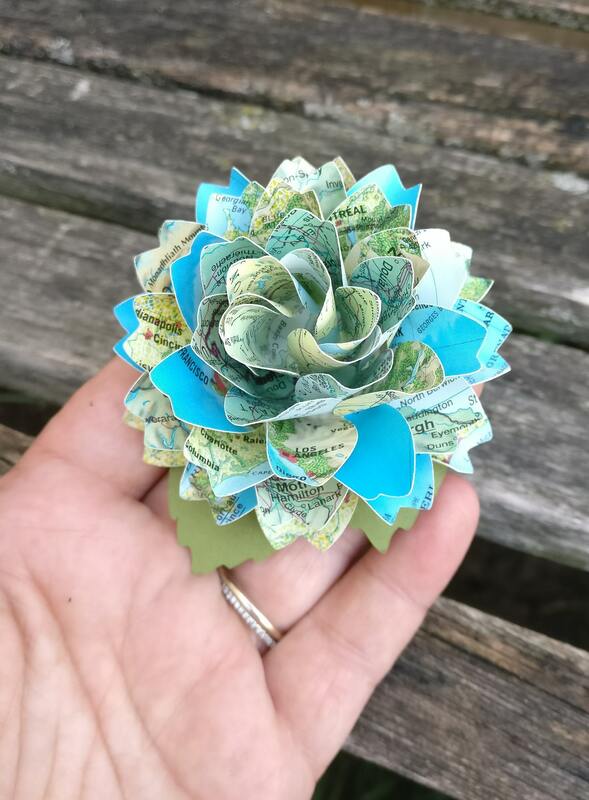 Paper Flowers. Bride, Bridesmaid, Flower Girl. 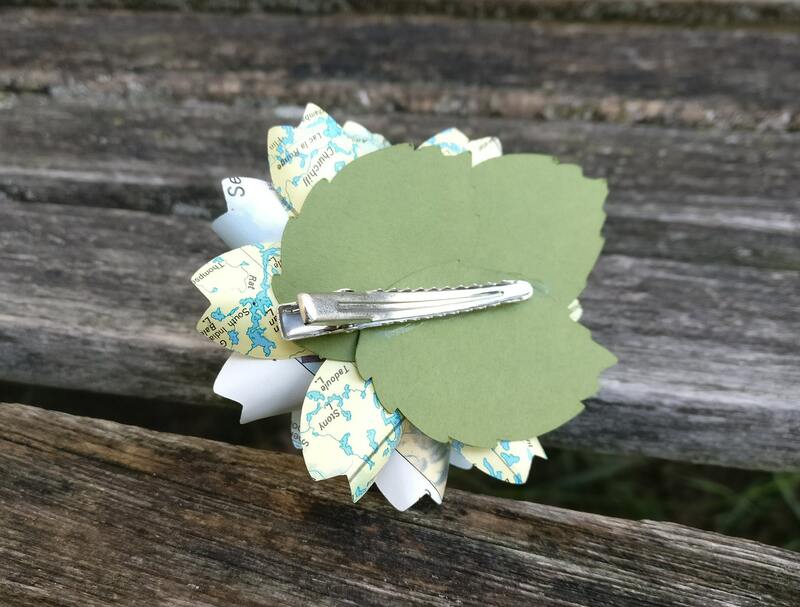 This cute little paper flower hair clip would be perfect for any wedding or event. 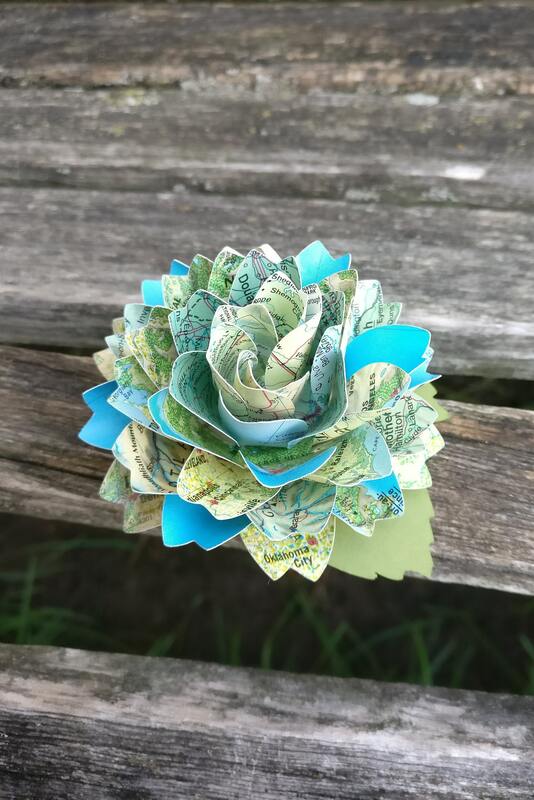 This listing is for one hair piece, with a 3" dahlia made from vintage maps. It is very lightweight and can go anywhere within your hairstyle! The hair piece measures about 3.5" x 3". It's better to stick with major cities, countries, or states. 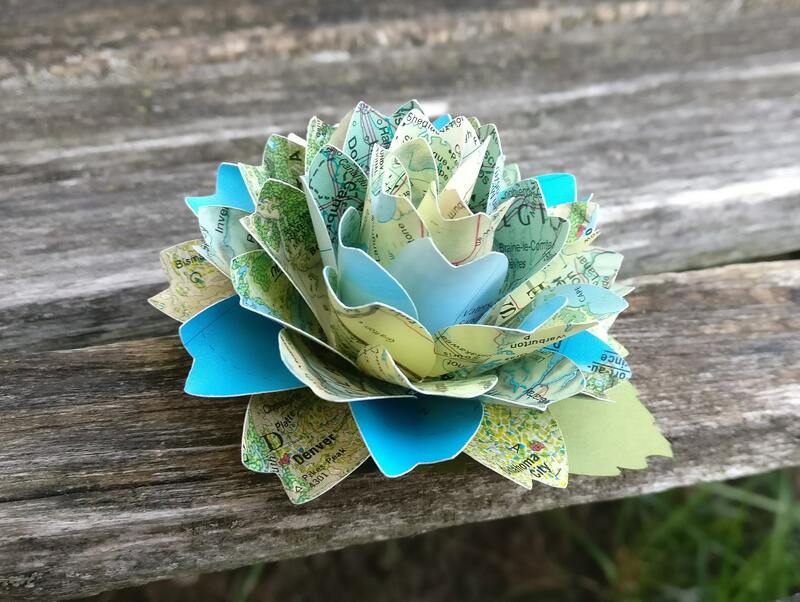 Please leave me a note on the checkout page if you want custom places. 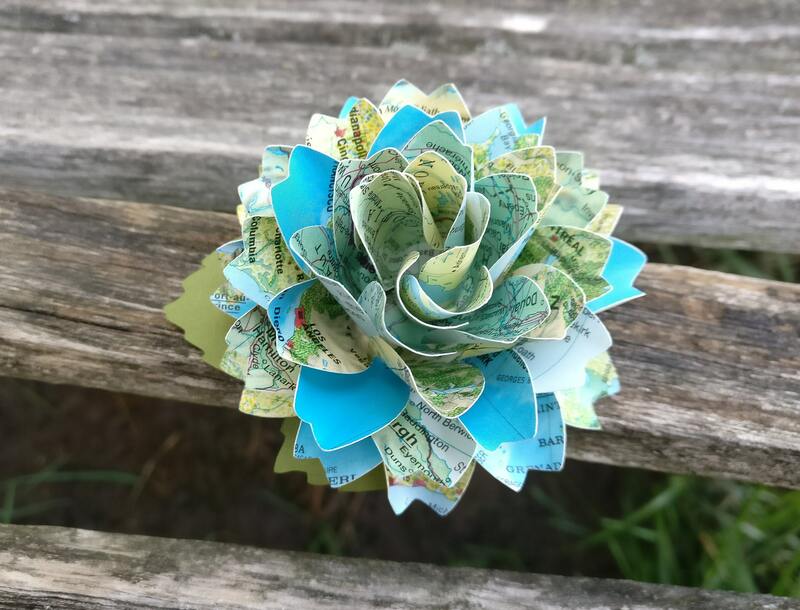 I can also do hair wreaths, head bands, corsages, tiaras, and wedding bouquets to match. Just ask.